Adopting a section of New York’s Grand Central Parkway is just one example of the consistent community giving that characterizes Elie Hirschfeld. Mr. Hirschfeld is a leading New York City based real estate developer with a deep love for the cityscape and surrounding landscape. 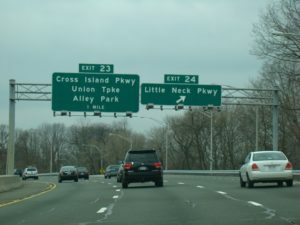 The section of the roadway that is sponsored by Hirschfeld Properties, is the span of the Grand Central Parkway at Exit 23, at Cross Island Parkway. This generous contribution to the beautification and maintenance of New York’s infrastructure was done through the Adopt-a-Highway program. The program is designed for New Yorkers and businesses to demonstrate their city pride and support efforts to clean and preserve the city’s roadways for everyone’s enjoyment.